Why Join as The SHRM University of Toledo Student Chapter? 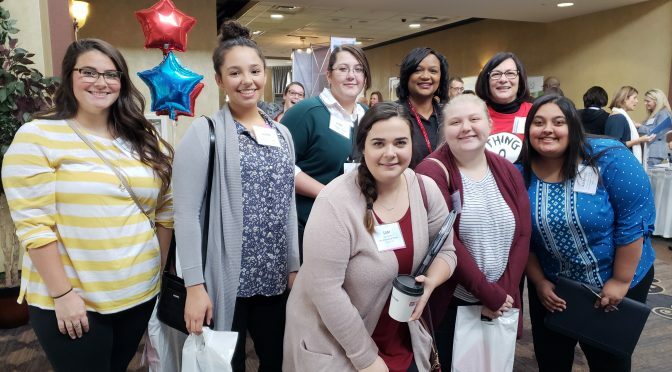 The University of Toledo SHRM chapter is a student ran chapter which is extremely beneficial to Human Resources and Organizational Leadership Management students. Our mission is to provide students with opportunities to interact with practicing human resource professionals, and socialize with other students interested in HR professions. It’s super easy to get involved with the chapter and for more information, please contact Laurie Britt at Laurie.Britt@rockets.utoledo.edu. For questions, please contact Laurie Britt at Laurie.Britt@rockets.utoledo.edu. National SHRM offers a student program which is extremely beneficial to Human Resources and Organizational Leadership Management students. To join as a National SHRM Student Member, click here! For questions please click here for Student Membership FAQ’s. I am an online student from Lorain county. I have 3 associates from LCCC (Lorain County Community College) : 1 in Human Resource Management, 1 in Business Management, and 1 in Accounting. I will graduate with my BBA this May. I have 18 months in the HR field as a generalist. I would have loved to get my bachelor’s degree in HR, but there were no partnerships through LCCC for that so I am going the BBA instead. I’ve noticed on applications that it doesn’t make much of a difference anyway which degree you have. Am I able to get membership without majoring in HR? I’m currently a student at Owens Community College studying Business Management. I will be enrolling into The University of Toledo the summer of 2016 to study Human Resource Management. I would like information about The University of Toledo’s student Chapter. I would also like to know if I could apply for a student while at Owens Community College. Our first meeting will be the week after Labor Day, I believe. Just come to the first meeting or contact Dr. Jenell Wittmer, the faculty advisor, who is Stranahan on the 2nd floor. Welcome to UT!